So, Your Pipes Froze, Now What? 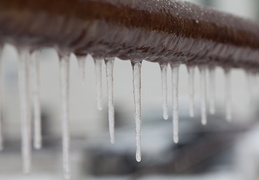 This past fall, we discussed the importance of preventing frozen pipes. This is an unfortunately common problem during this time of the year, as temperatures drop below freezing outside and effect any outdoor plumbing you may have, in addition to indoor plumbing that’s hidden behind walls and beneath floors—which describes the majority of your plumbing system! Regardless of whether or not you took preventive measures, you may have still ended up with frozen pipes. So, what do you do about it? Your first instinct is likely to try to thaw them on your own—perhaps with a hairdryer or some type of heavy duty garage equipment you have, like a blow torch. Resist this temptation! You can do more harm than good, damaging your pipes and increasing the likelihood of injury. For safe and effective plumbing repair in Salt Lake City, UT, reach out to our team. Here’s what you can expect, when you do. 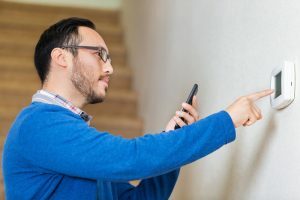 Posted in Plumbing | Comments Off on So, Your Pipes Froze, Now What?